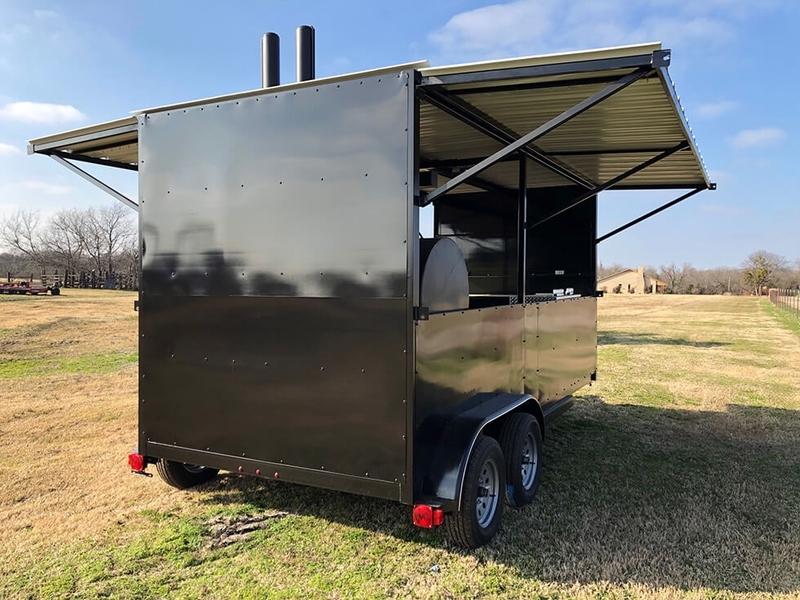 This trailer can be outfitted with any of our smokers, please contact us to clarify cost on this trailer if you would like a different smoker installed. 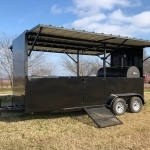 Please See: 30" T-pit Smoker on this site for more pictures of the smoker on this trailer. 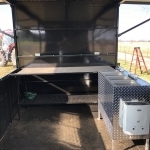 Total pit measures slightly under 7ft which is good for fitting across the back of porch trailers like this. 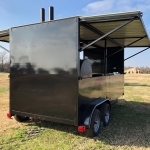 Width is 30″ and height can be modified to fit your needs. It consists of a 8ft long main chamber that’s 30 inches in diameter. 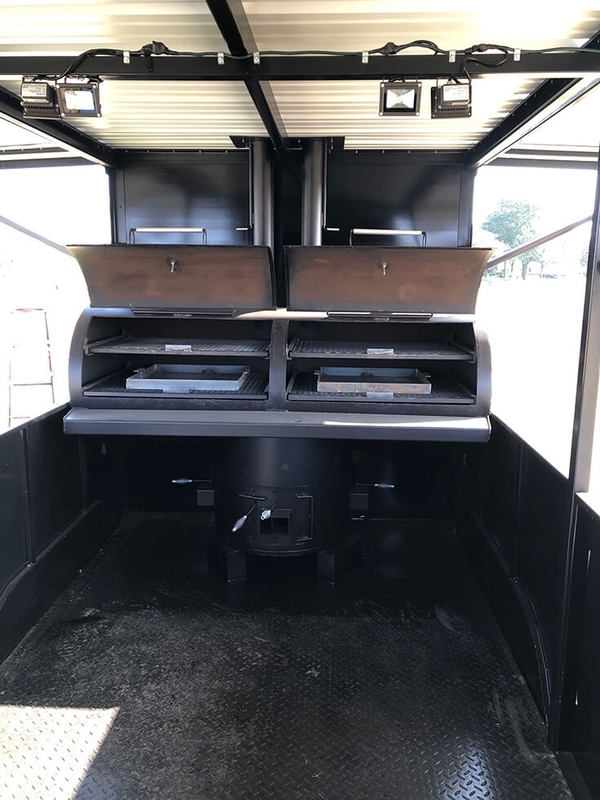 Two cooking racks withen each door measuring 36” by 28” and 36″ by 24” giving you right at 26sq ft of square feet of cooking surface. 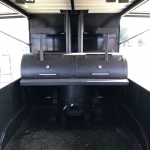 The pit has a 2.5ft by 2.5ft firebox with (3) 6” by 4” vents for ample airflow. 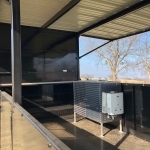 There are 2 stacks with rain caps set to pull the heat out at “cooking grate level.” They are 4.5” in diameter and measure 2.5ft long. 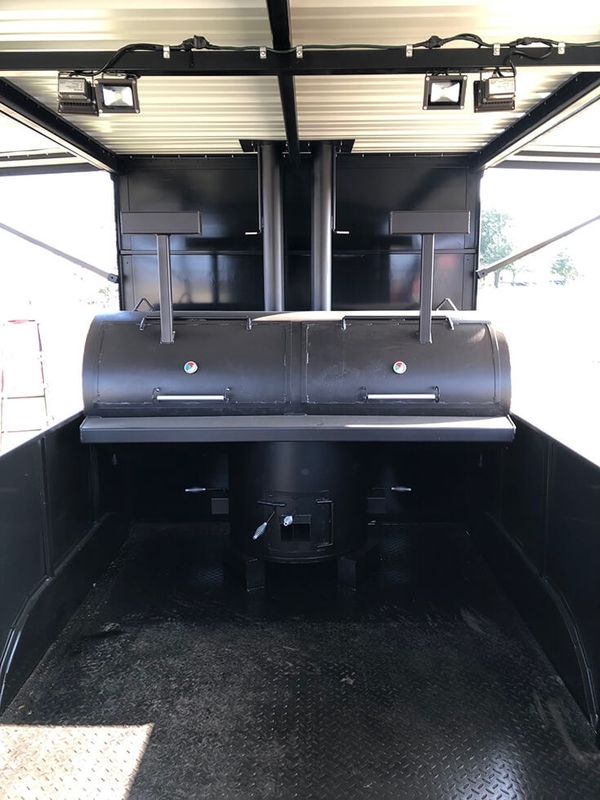 Setting them at the same level as the cooking racks keeps the heat in the cooking chamber longer making the pit burn less wood and making the stacks more than 32″ long allows for a more sustained draw of smoke from the cooking chamber. 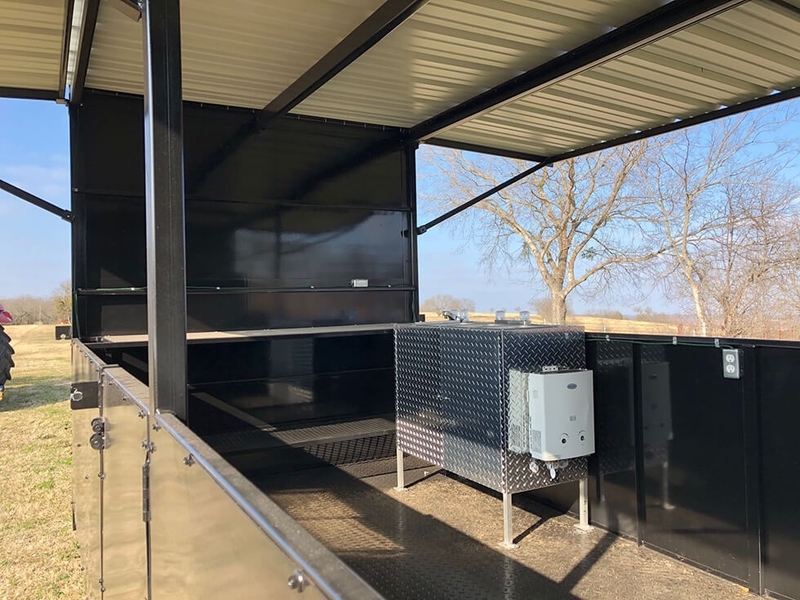 ****The pit is designed with industry standard Reverse Flow; yet with this pit I have furthermore advanced the process by creating a design that takes away all hot spots in the pit. There is no need to adjust anything. It’s a T-design heat flow, instead of the standard offset firebox. 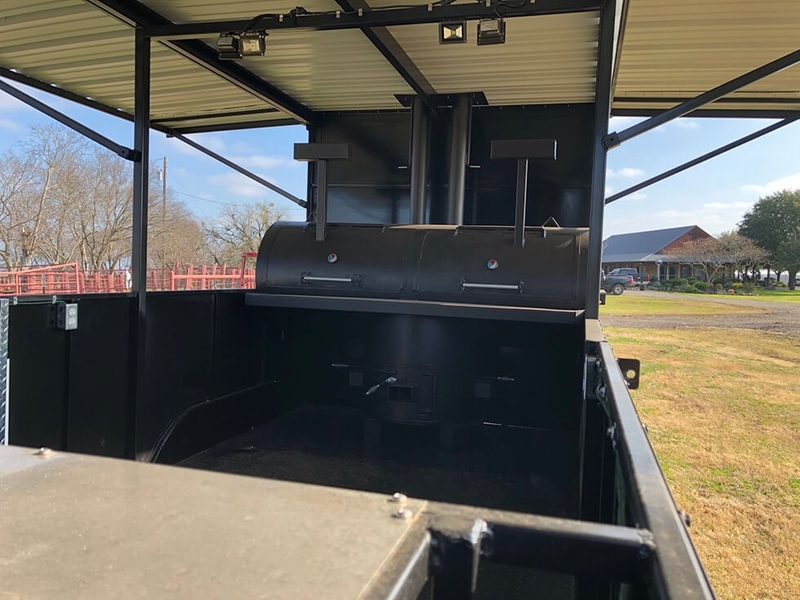 The smoke and heat travels up from the firebox and hits a steel baffle that protects the cooking rack from being exposed to direct flames from below. The heat/smoke travels on both the left AND right side of the cooking chamber before it is released upward to the cooking surface. Contact me if you’d like a description of its characteristics. The baffle also doubles as a Charcoal tray. 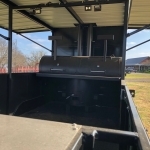 So you can smoke ribs one day then charcoal steaks the next on the very same pit!!!!!!! Patio Stand The pit is perfectly balanced and set on a quad-leg stand. The stand supports the pit perfectly and keeps it stable. 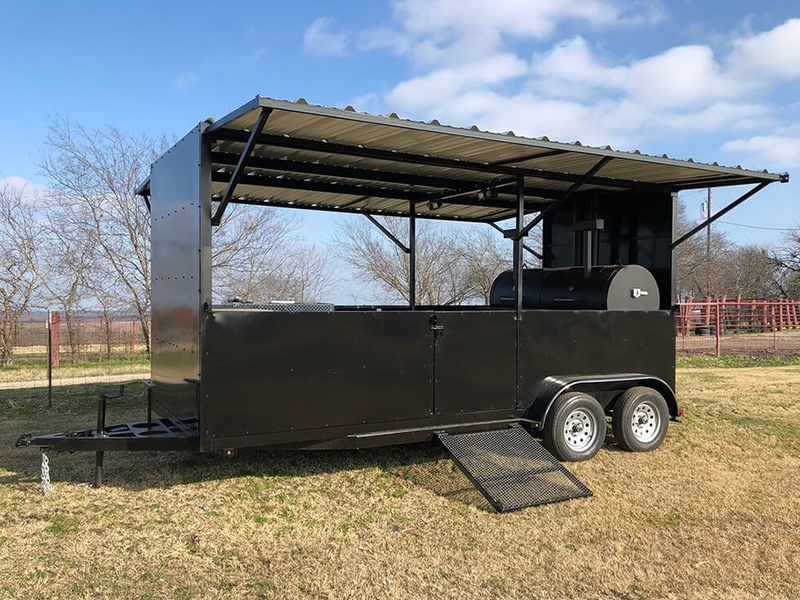 We build this stand with wheels to move the smoker around easily. Brand new 82” wide by 18' long tandem axle trailer with diamond plate floor. 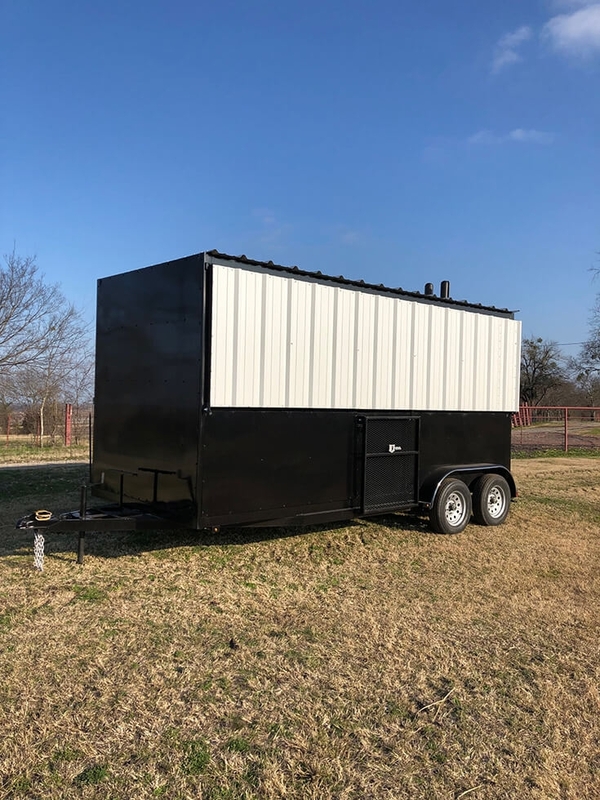 The entire trailer is covered with a 7.5' tall white R-panel roof. 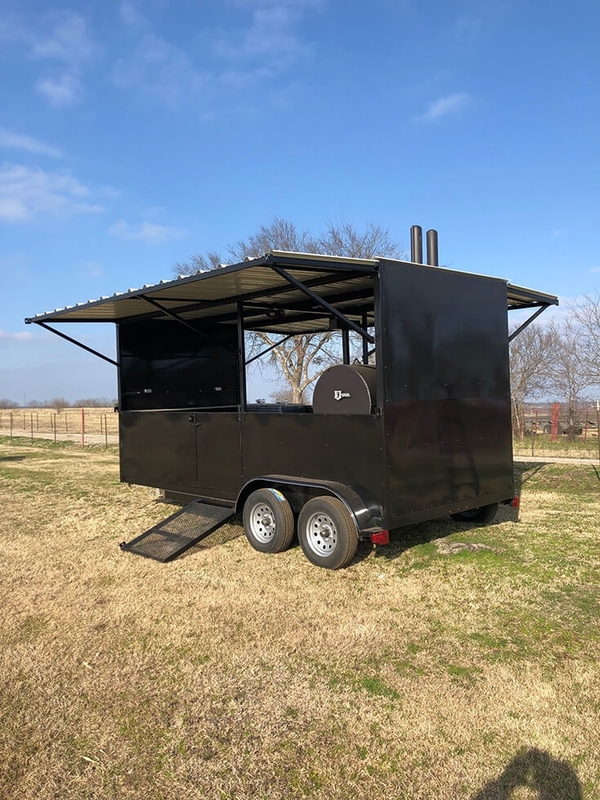 Foldout awnings on both sides of the smoker. 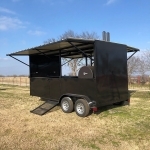 Solid steel front, steel half wall on sides, and all steel back with access door, ramp, and access door to smoker. 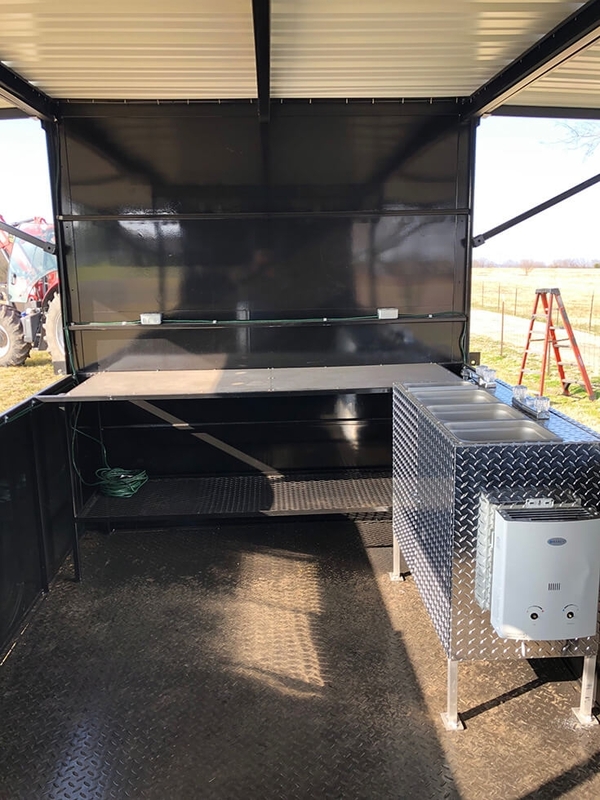 The upper half of the trailer on the sides is framed out for installing bug screens if the customer chooses to do so. 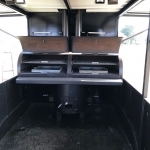 There is ample room inside the trailer for adding in sinks, burners, and other accessories of your liking. 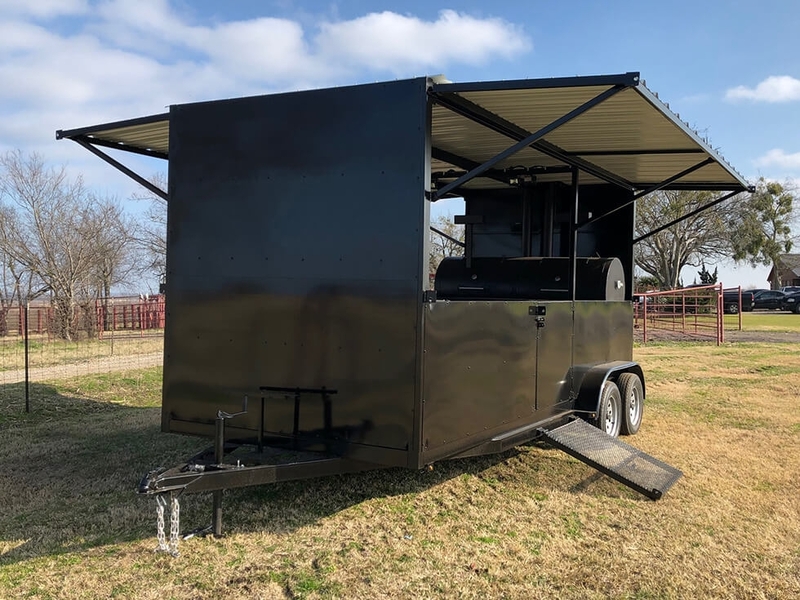 The Trailer itself is constructed with 4” C-channel, custom positioned 3500 axles, 2” hitch, safety chains, breakaway kit, lights, NEW TIRES, and your choice of either Silver or Chrome wheels. For Chrome wheels, lug nuts, and center caps, add $500. see pics for chrome vs. silver. All doors and firebox door are lined with flat-strap for less heat escape. Spring handles on vents and doors to keep hands from getting burned etc. Temp gauges, and 10” shelf around the pit etc. 1200-degree high heat paint. Personally pre-seasoned with Pecan wood. 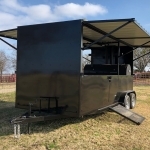 I can have your initials, ranch brand, or logo cut out with a computer driven plasma cutter and suspended on top of the pit for an added touch of personalization. Contact us for details.